The elements h1, h2, h3, h4, h5 and h6 is used to make headings (h stands for "heading"), where h1is the first level and normally the largest text, h2 is the second level and normally slightly smaller text, and h6 is the sixth and last in the hierarchy of headings and normally the smallest text. As they say, there's an exception to every rule and in HTML the exception is that there are a few elements that both open and close in the same tag. These so-called void elements are not connected to a specific passage in the text but rather are isolated labels. For example, a line break creates an extra line between the last piece of text and the next piece of text and its tag is<br>. 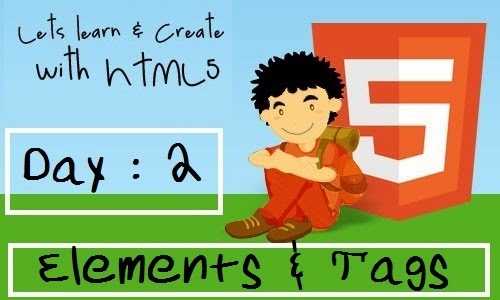 If you would keep pace with us then in the Next Document you will learn how to create an HTML5 Website. Guys, if you are looking for coursework writing help, this is what will help you for sure.